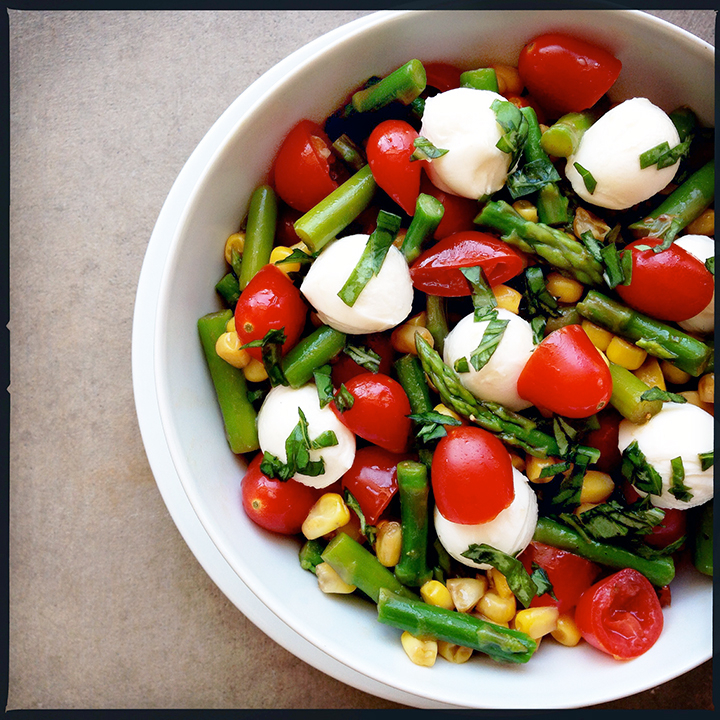 ASPARAGUS & SWEET CORN CAPRESE SALAD. I’m just going to go ahead and quote Lana Del Rey right now. I’ve got that summertime, summertime sadness. Although, I think she’s actually crooning in her sultry voice about the end of a summer fling, while I’m yodeling in my off-key voice about being hot as ballz, sweaty, miserable and unable to force myself to turn on my oven for all the tea in China. Even if it was iced tea. 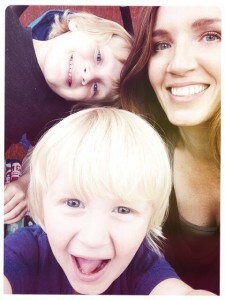 Still not budging. If you’re anything like me, you have an arsenal of salad recipes to turn to when it gets to this point in the Summer. I mean, you can only feed your kids popsicles and ice cream cones dipped in Fruity Pebbles for dinner so many times before you start to feel the guilt creeping in. Cook the corn kernels in the same pot of water you used for the asparagus. Transfer the cooked corn to the same ice bath, drain it all and transfer them to a mixing bowl. Add in the tomatoes, basil and mozzarella and toss to mix. In a small bowl, whisk together the balsamic, olive oil, salt and pepper. Pour this over the top of the salad and gently toss to evenly coat. 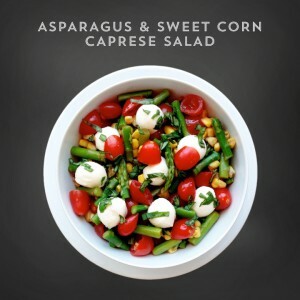 This salad is best when eaten the same day, simply because the asparagus starts to look a little tired. Although, I would too if I was busy fighting off cancer and wrinkle causing nasties all day long. 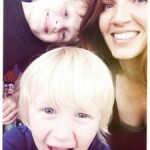 « Grilled Pizza and a 4th of July Giveaway!